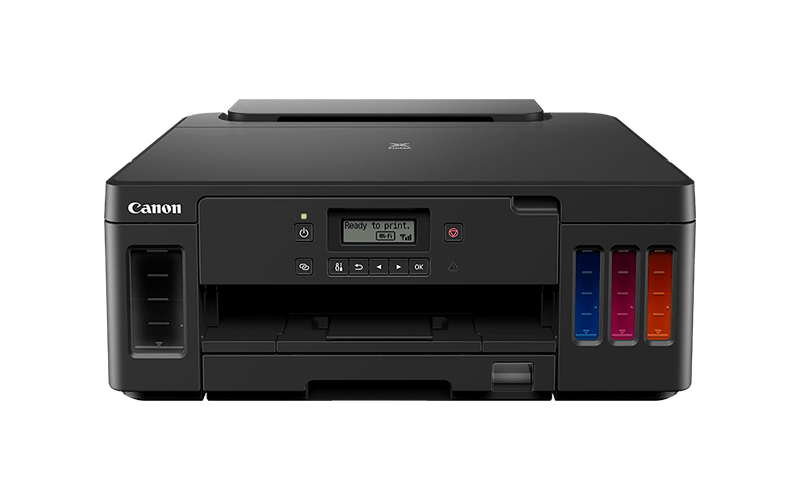 Avoid downtime with a high-volume printer with 350-sheet plain paper capacity. Simplify refills with mess-free bottles and enjoy cost-effective productivity and uncompromised quality with high yields of up to 18,000 pages from 3 black ink bottles or 7,700 pages from a colour set*. 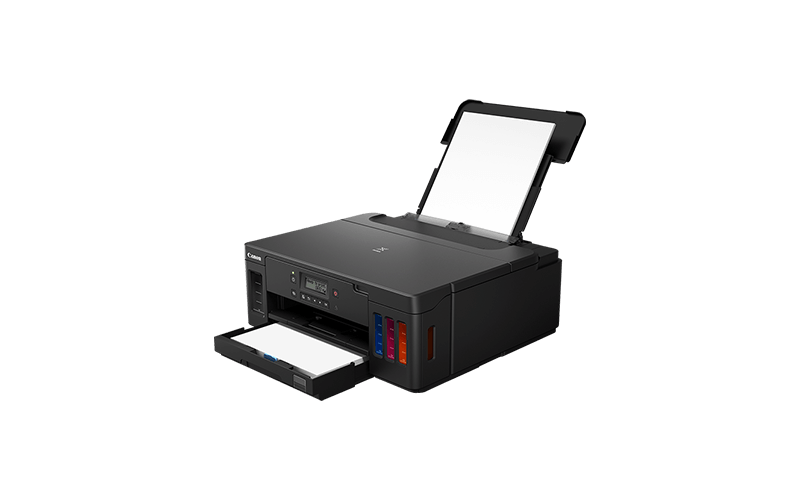 Print up to 18,000 black pages from 3 black ink bottles or 7,700 pages from a colour set*. 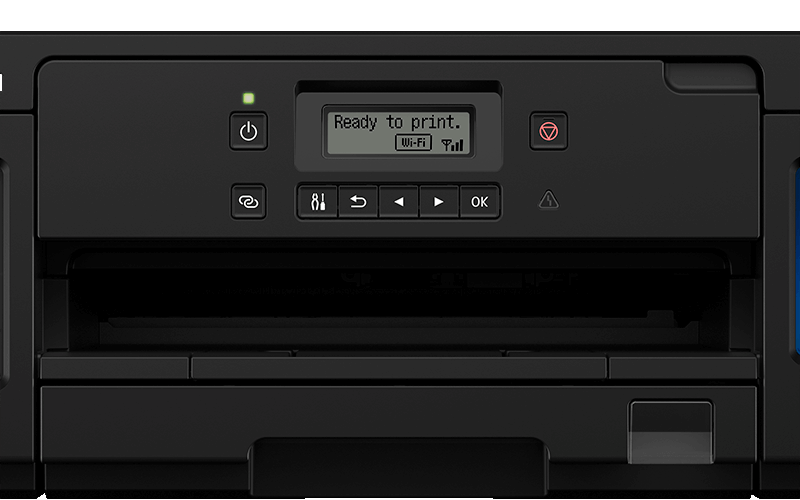 Cut downtime with auto 2-sided printing and a 350-sheet plain paper capacity. 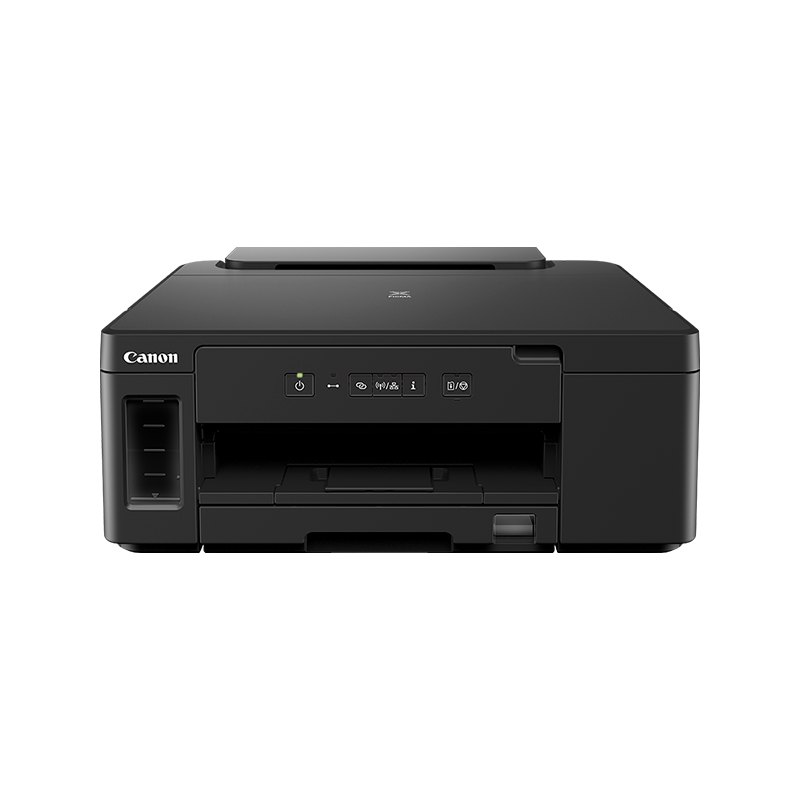 Print with your smart device via the Canon PRINT app and connect to the cloud using PIXMA Cloud Link, convenient for home entrepreneurs or small offices. 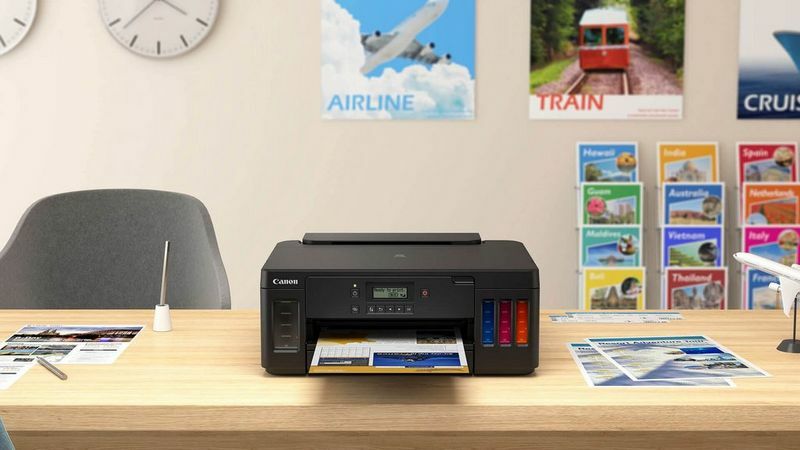 Print simply using AirPrint (iOS), Mopria (Android) or Windows 10 Mobile, and enjoy high-speed secure connections with the local network via the Ethernet connection. 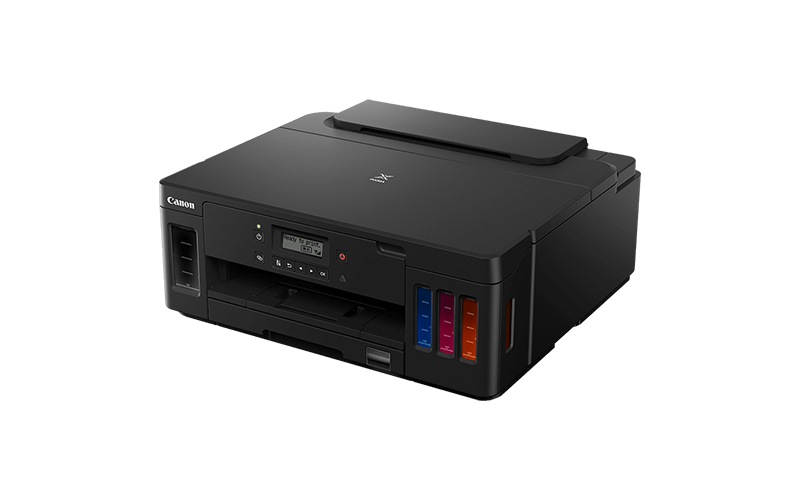 Print sharp text with dedicated pigment black ink and borderless photos up to A4 with vivid colour inks. Take the hassle out of refills with enhanced mess-free ink bottles. 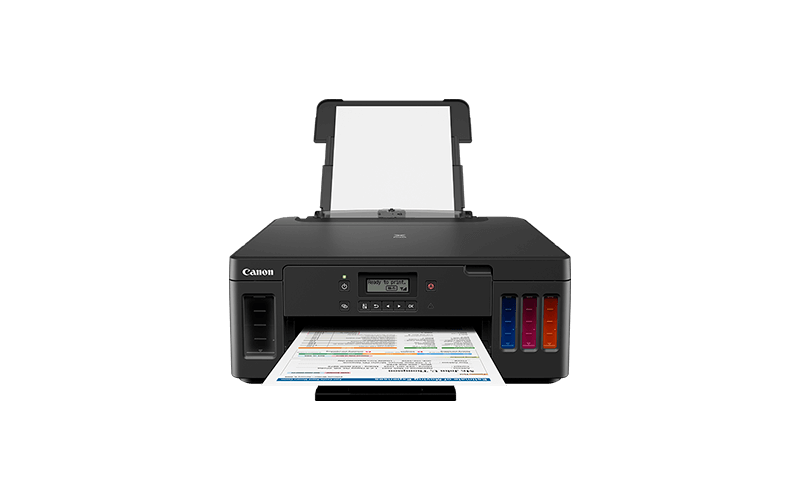 Take control via the 2-Line mono LCD and stay one step ahead with ink detection. Businesses with multiple locations can remotely monitor ink levels, usage and status with the Management Information Base (MIB). All the tools you need to start high-volume printing at a lower running cost.